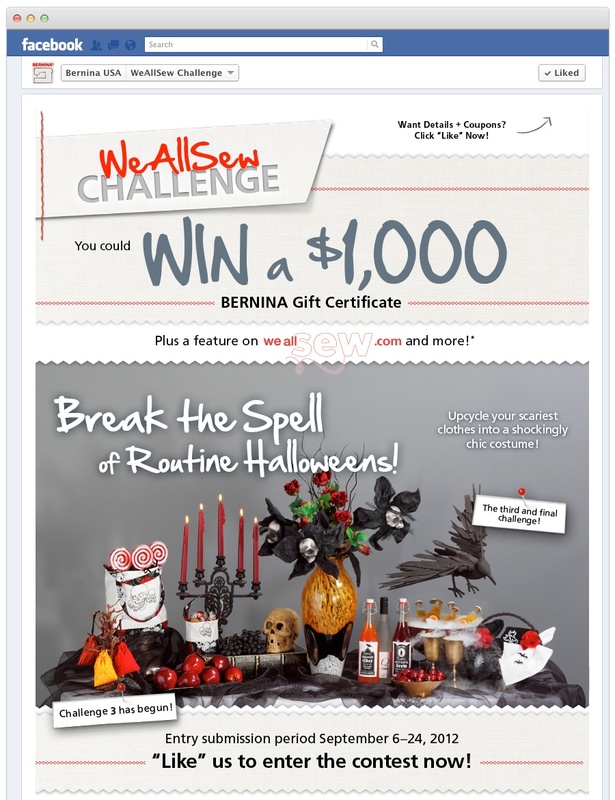 BERNINA USA asked us for a year-long campaign to reach its two very different audiences. Because we’d had a long history with the brand, we looked at the calendar, thought with two brains and developed one unique "WeAllSew Challenge." BERNINA USA faced three challenges: a dealer network that includes savvy and “old school” marketers; a split audience consisting of older crafters and younger sewers; and an incredible array of sewing machines that require a financial commitment and last a long time. We used the notion of "upcycling"—the art of improved-upon found objects turned into something new and fresh—to encourage BERNINA's audience to participate in as many as three unique upcycling challenges throughout the year. To reach the dealers and consumers driven by price-off coupons and sales, we developed an integrated campaign with direct mail and in-store signage, as well as targeted Facebook activity. 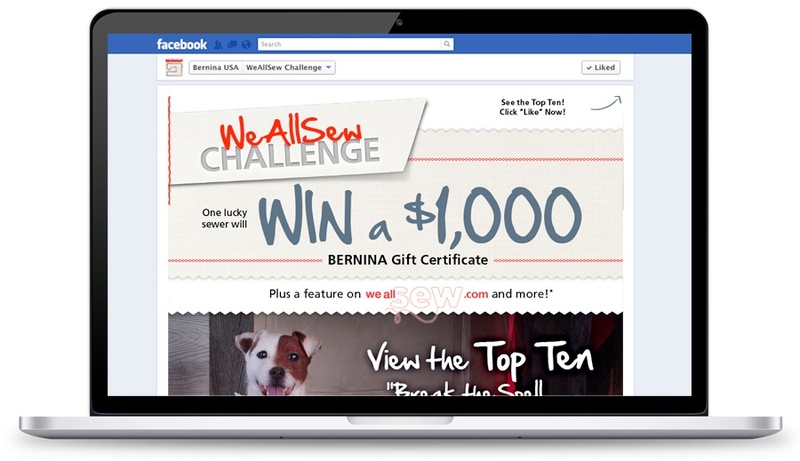 For the content-driven audience and tech-savvy dealers, we leveraged BERNINA’s WeAllSew blog, pushing devotees to a three-pronged Facebook promotion. All this activity highlighted the calendar-focused projects that any BERNINA user could make during the "WeAllSew Challenge." Participants entered the "WeAllSew Challenge" on Facebook by uploading a picture and story about their completed upcycling project. 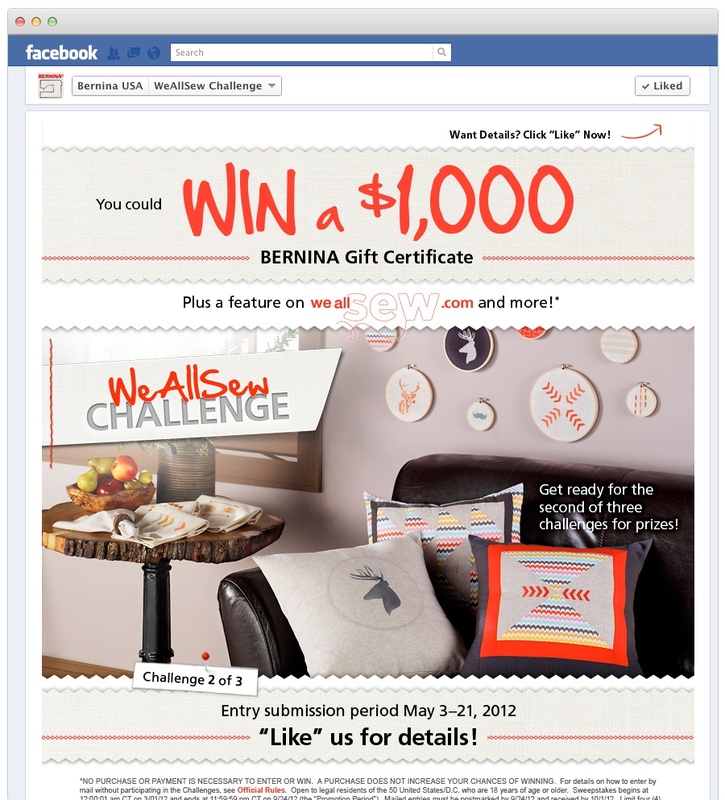 Winners are featured on the WeAllSew blog and also receive a $1,000 BERNINA gift certificate. 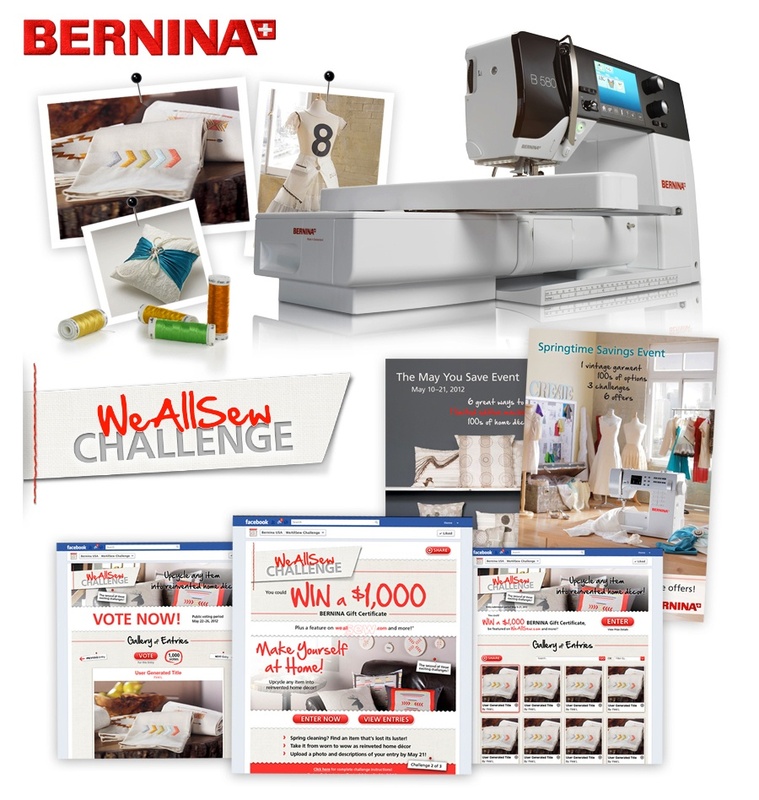 At the end of three quarterly challenges, all participants had a chance to win a $5,000 BERNINA sewing machine. 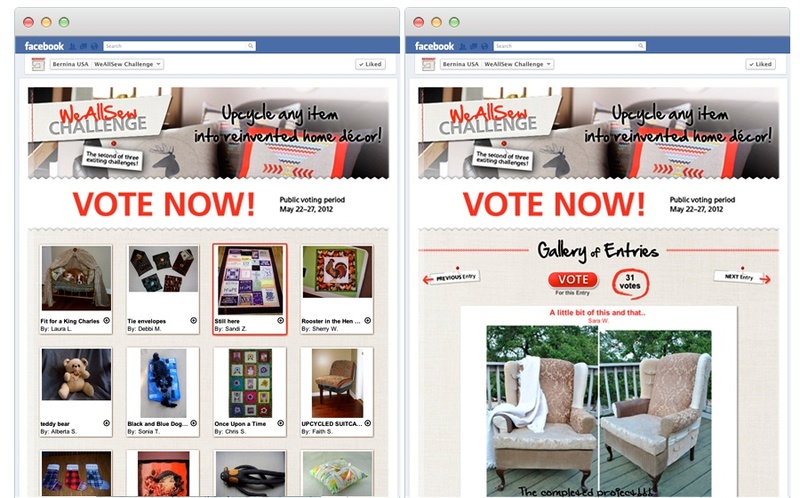 Nearly 100% dealer participation in the brand’s first-ever long-term activation, hundreds of redeemed coupons (on and offline) and hundreds of consumers “upcycled” to enter to win.